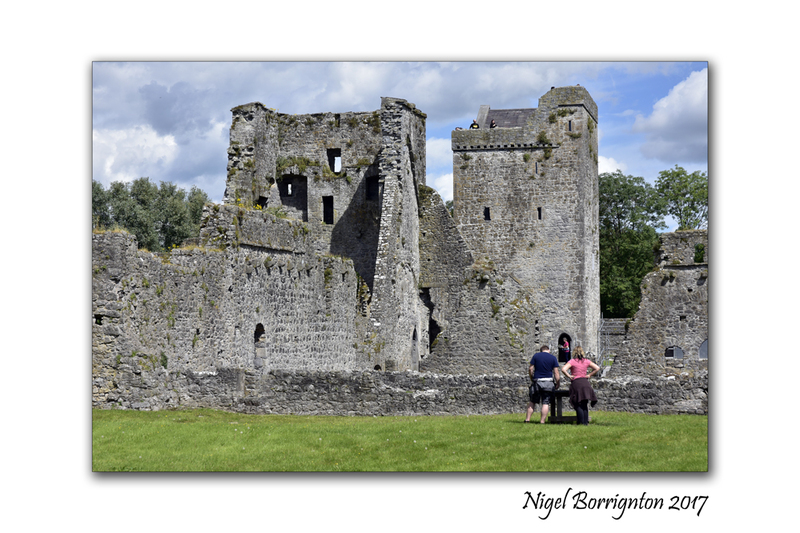 Kells priory, county Kilkenny, Art work and Photography. One of the location that I love to take both my camera and sketch book is Kells Priory, county Kilkenny. 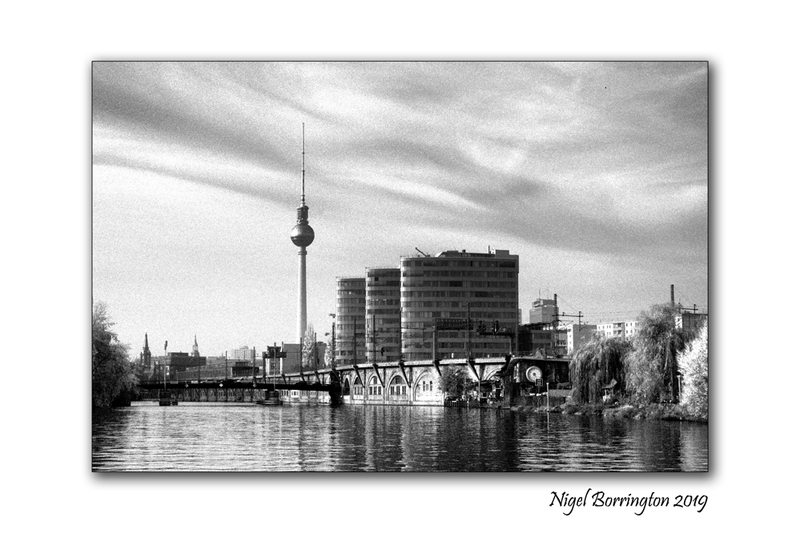 Its an amazing location to capture in many forms and I am very lucky to live only a few miles away. I have posted here on my blog about it many time, you can used the search box to find these post if you wish. 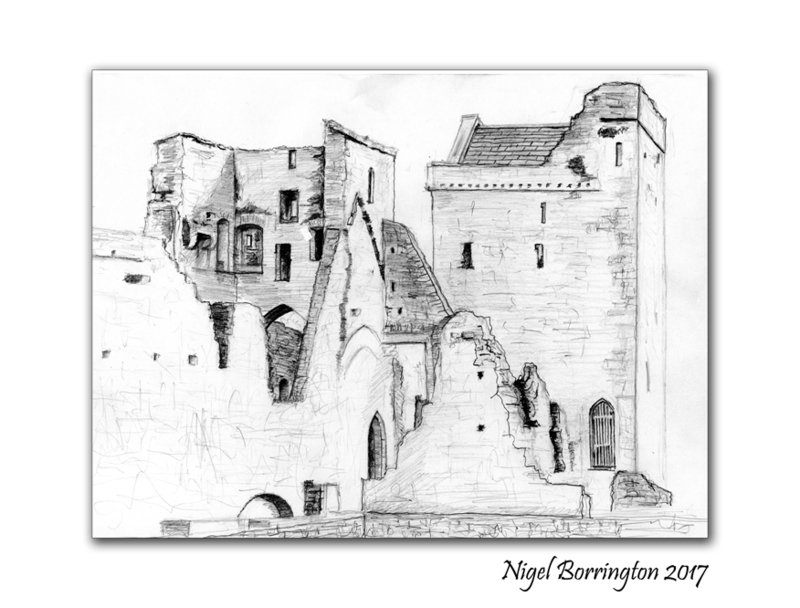 The above is a Pencil on Paper drawing I worked on from about two weeks ago and below is a photo taken earlier in the summer when there was many more visitors around the site. Allihies in west county cork is one of my favorite locations to visit in Ireland. 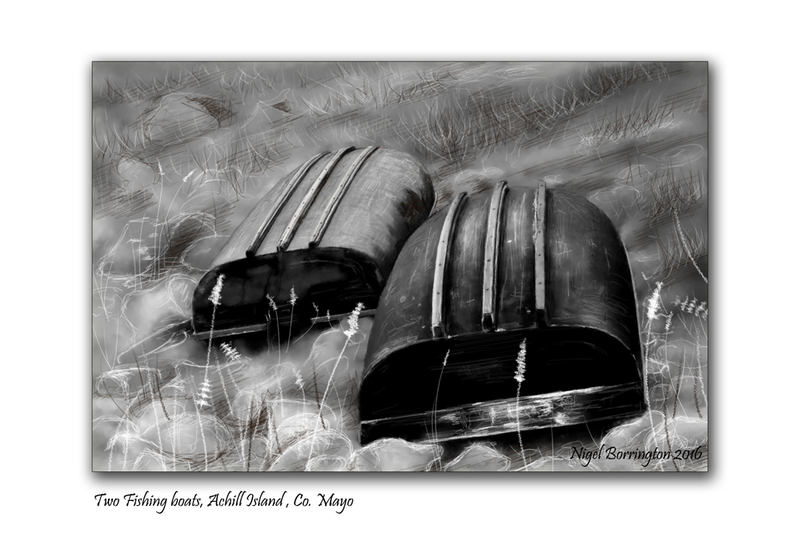 The town is located at the far end of the Béara Peninsula, west cork, the landscape scenery here is just stunning. The town itself is about as remote as it gets in this part of the world. There are many coastal walks along with paths that wind through the hills. The town is also well known for its copper mining history with many of the old mines still standing in the hills acting as a backdrop for the town. 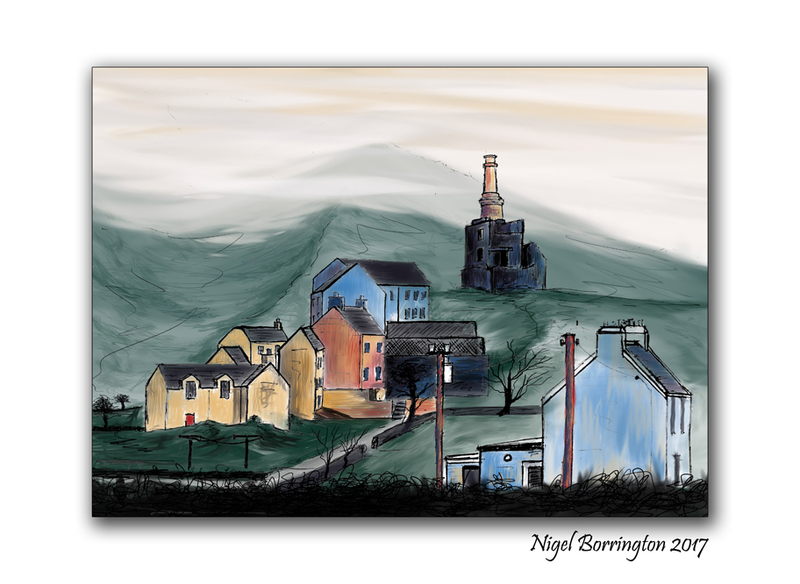 My painting / sketch here was painted digitally using a combination of PC applications and taken from some sketches and photos I came home with on the return from my last visit. 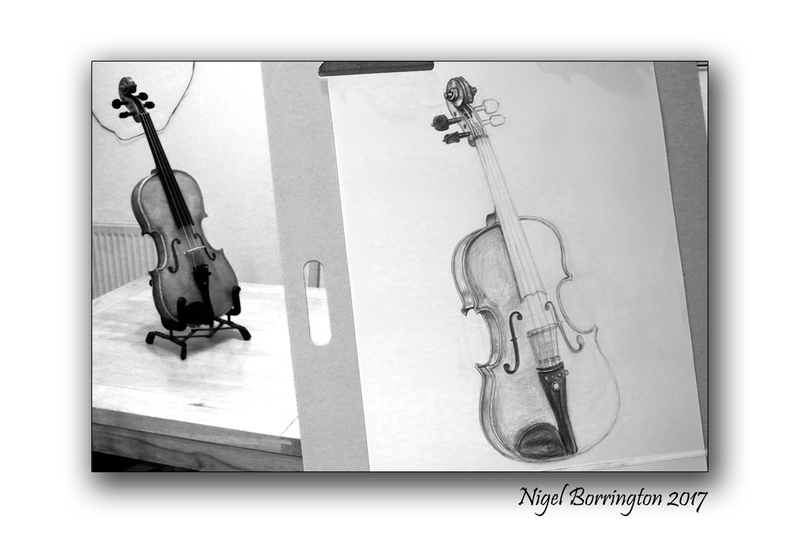 I am a big believer that the skills involved in producing any kind of art work come from the base level of being able to represent the world around us, even the most abstract of painting and sculpture has to come from some kind of desire to represent thing in the real world. 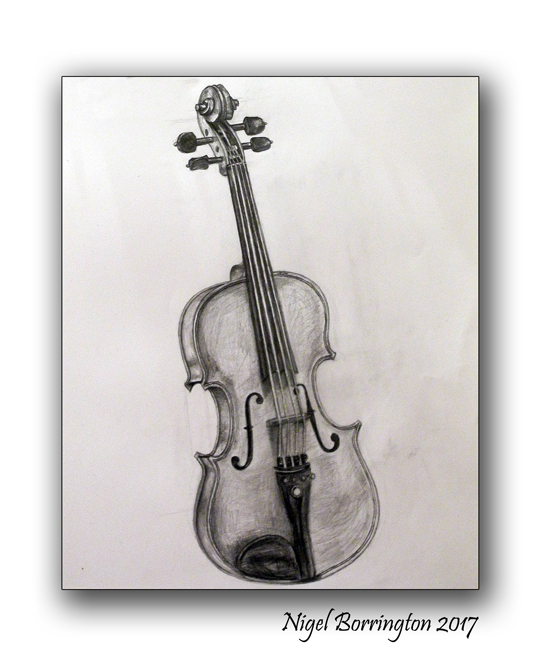 So I wanted to before doing any more painting, take a step back into working on basic drawing skills. 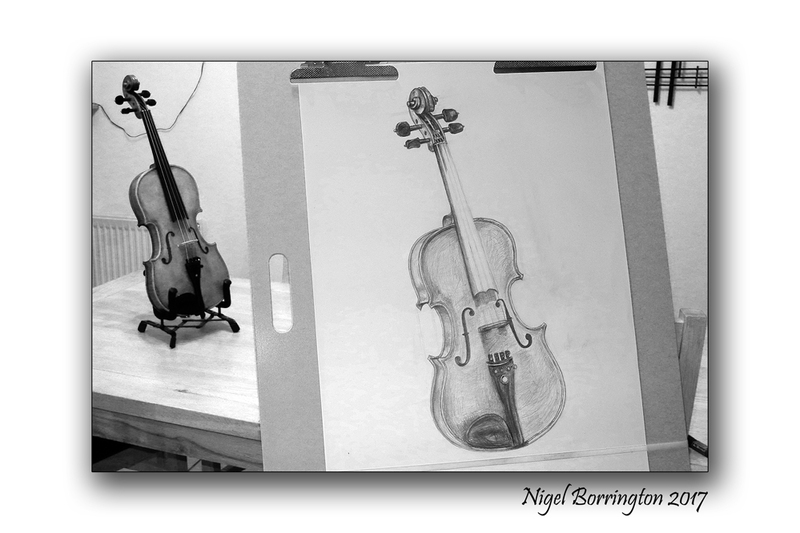 The images here are taken over two nights during the week as I started and finished a pencil drawing of my Violin. they show some of the steps as I first worked on the basic outlines of the image and then moved into adding some details and shading. 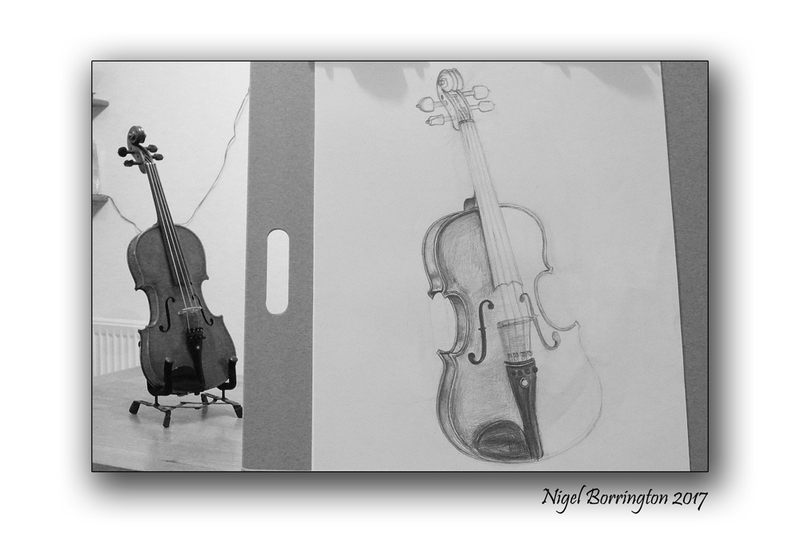 I am happy with this first effort but will keep working over the next few weeks on different angles of the violin as well as working in different mediums such as pens and ink and charcoal. 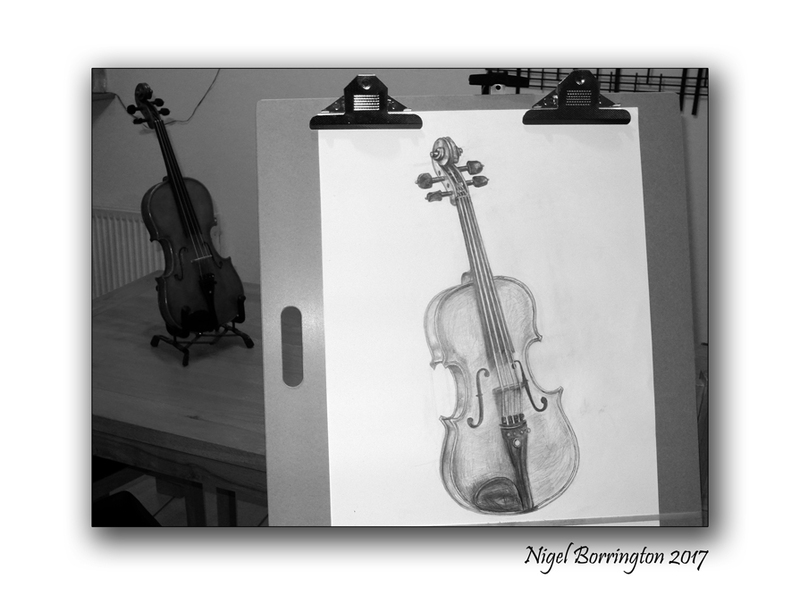 I started this week in my blog by saying that I was taking sometime each day to study some of my most loved Artists, I feel that the week has been really valuable to me in this respect and I am very pleased with how it has all worked out. At the same time the week has only scratched the surface of my full aims, being to gain an understanding of how so many great artists have used the landscape of Ireland and the UK in their art work and to define how I can take this as some personal inspiration. While during the last few years I have taken many more photographs than produced paintings, I have been painting as a form of self-expression for many years. Oddly it was not until I decided to attend art school at Waterford(WIT) that I stopped painting so much, I think many experience this odd effect from current formal art study and art schools. I don’t want my blog to become completely art and artists based and to move away from my own photography posts, although I personally feel that the two are very closely linked in any-case. So next week I will move a little back towards photographic images, I will however still keep posting some reviews of the artists and art work that I find the most interesting. Has this week helped to inspired me ? , Absolutely! 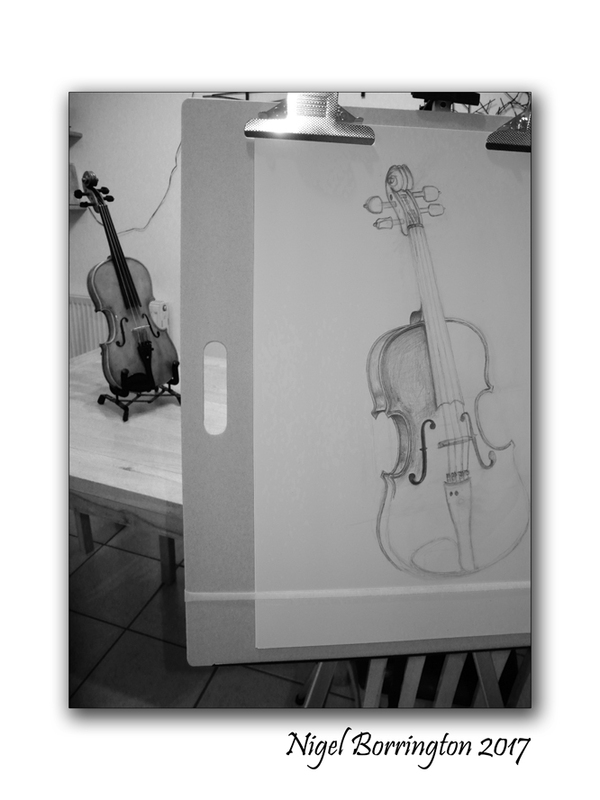 I feel its time to paint again as well as use my camera !!! One of these very inspiring artists is Peter Collis the artist I have selected for my Friday Post. I remember visiting the Solomon Gallery, Dublin in 2002 , the first time I got to see any of peters paintings and I very much liked them from the start. I liked his style of painting of the landscapes he painted and very clearly loves, using a limited amount of colours like many artists do, I very much liked the way the movement of his brush can be so clearly viewed in his work, each gesture he made forms a feature in the landscapes he paints and each of these gestures are left alone on the canvas from the very moment they have been made. I found this great review of Peter in the Irish independent dated 2012 – it says much more Than I can myself !!! A lovely, gentle man’ was how veteran sculptor Imogen Stuart recalled the painter Peter Collis who has passed away at the age of 83. Collis, who was born in England and came to Ireland in 1969, was an acclaimed landscape artist and still life painter who had been a stalwart of the Royal Hibernian Academy. 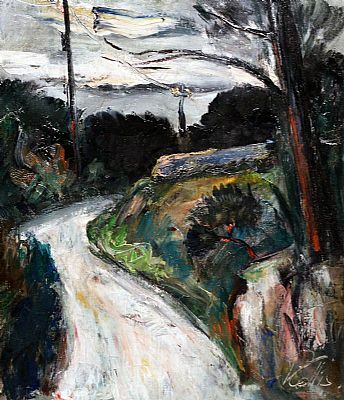 His canvasses are characterised by a powerful and dramatic style under the painterly influence of great masters such as Paul Cezanne, whom he adored, and Maurice de Vlaminck. 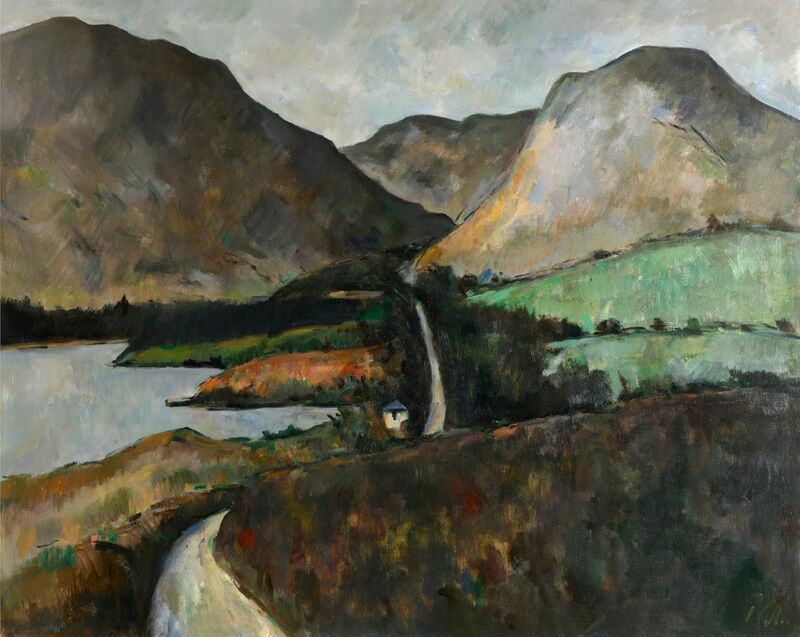 In contrast to the traditional realistic depictions of the Irish countryside, Collis employed a bold brush and brought a strong expressive energy to his outdoor renderings. He was particularly fond of Killiney, and its bay, and of the topsy turvy Wicklow countryside. 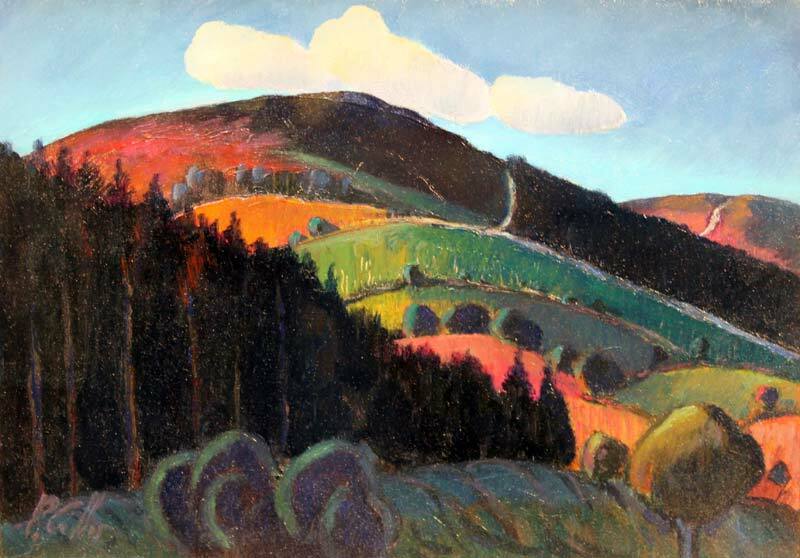 The Sugar Loaf mountain became a familiar motif in his work. He also composed striking still lifes, of groups of green pears and vivid red apples, which evoked a distinctive European quality. 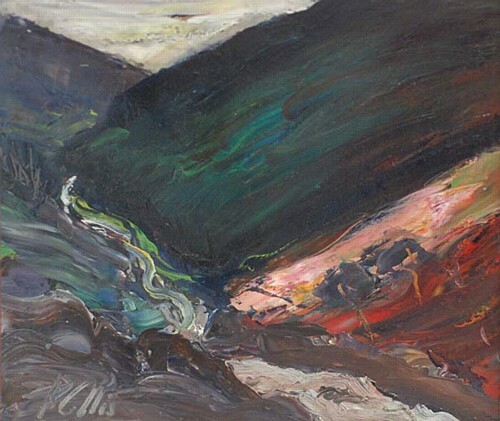 The physical appearance of Peter Collis often belied the rugged intensity of his work, with its rain-drenched hills and wind-bent trees. An unfailingly courteous man, who was widely popular, he wore Savile Row suits and was described by painter Mick O’Dea as possibly “the best dressed artist in the entire Irish arts scene”. In Dublin, Collis was most recently represented by the Solomon Gallery and only last month had a retrospective exhibition in the John Martin Gallery in London. In 1990, he was elected to full membership in the Royal Hibernian Academy and was actively involved in the activities of that body. In 2002 he was conferred a senior member of the Academy. He received many awards, including the Royal Trust Co. Lt. Award in 1975, the Maurice MacGonigal Landscape Prize of 1981 and the James Adam Salesroom Award, RHA of 1999. 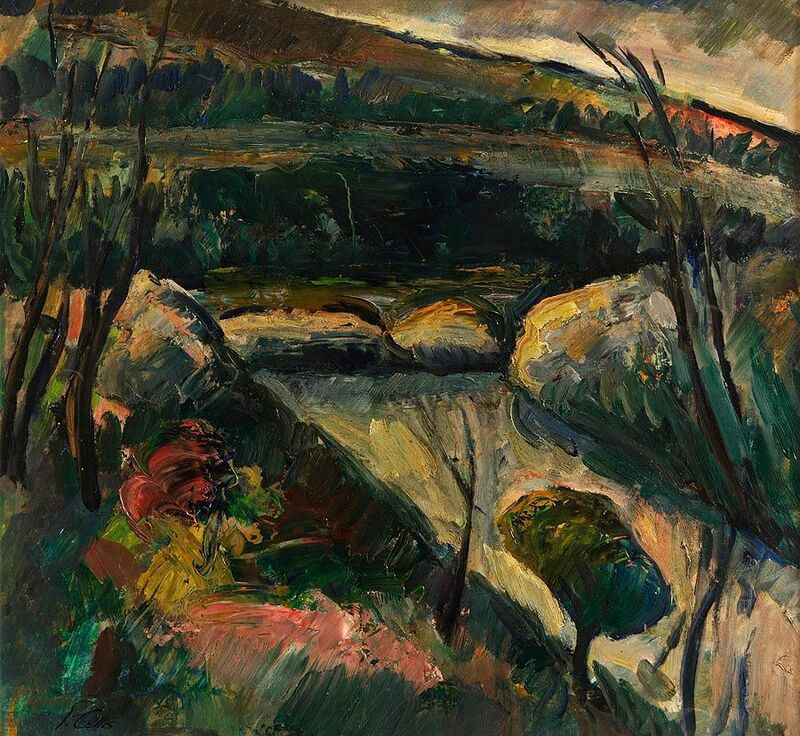 His paintings are represented in many public collections, including those of AIB, Bank of Ireland, Limerick University, University College Dublin, and the Office of Public Works. His paintings are also owned by many private collections including Bono, Christy Moore, and Lord Puttnam, the English film maker. He will be missed by the artistic establishment, but also in the context of the wider artistic understanding of the Irish landscape, which he did so much to further. Most especially, of course, he will be missed by his wife Anne, and daughters, Vanessa, Mandy and Kate, as well as grandchildren. He was sadly predeceased by the untimely passing of two of his children, David and Gail. His funeral service was held in the Parish Church, Monkstown (Church of Ireland) followed by burial in Deansgrange cemetery. Last week I revisited Kilcooley Abbey in country Tipperary with the aim of capturing some images to produce some sketches and paintings from. 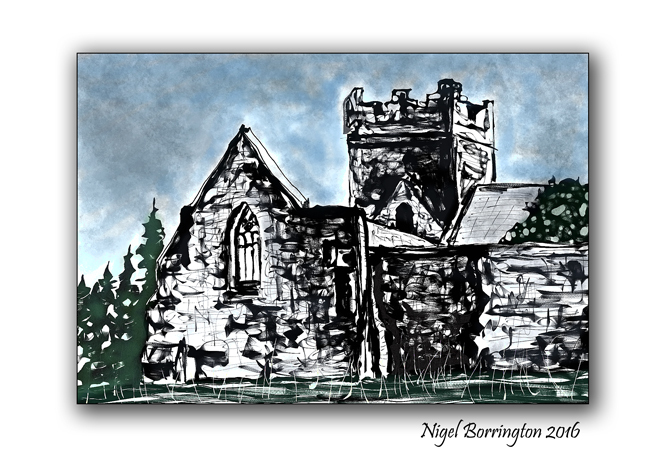 The Abbey is an amazing location and this quick sketch is made on my tablet using Krita a digital painting application. 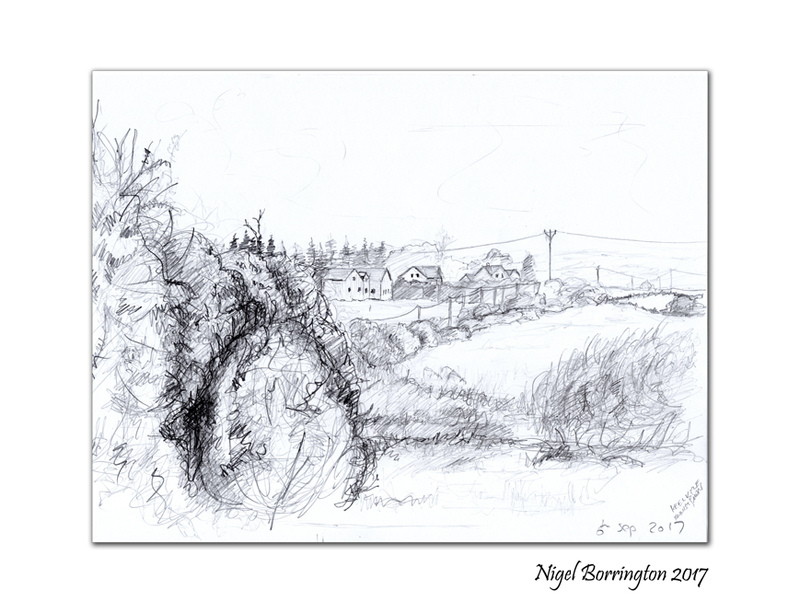 I like the idea of fast sketches, they are not meant to be anything like finished work but by doing them you feel you know the location your hoping to work with very well, be it for painting/drawing or photography.